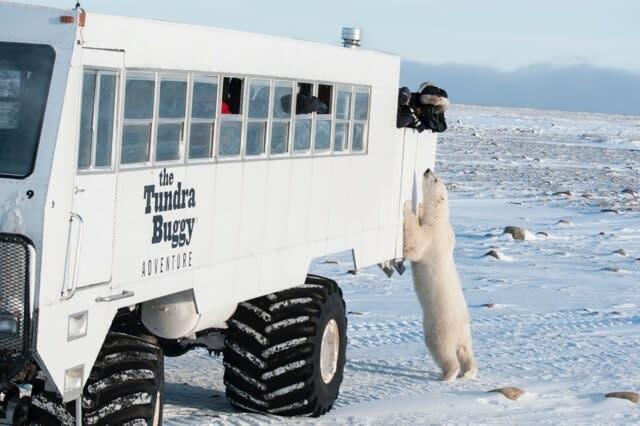 Board an original Tundra Buggy® for an unparalleled polar bear viewing experience or sleep among the bears at our unique Tundra Buggy Lodge. Full-day polar bear tours available in October and November. Join a summer half-day or full-day tour and enjoy birds, flowers and wildlife. The Tundra Buggy is a Frontiers North product.